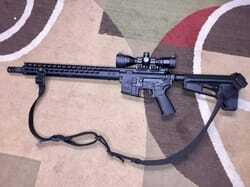 When searching for a rifle, you may find that you enjoy some features while despising others. We know that feeling, though the beauty of the AR rifle is that it can be modified! That's where we come in! If you need a complete lower or upper, or simply a new trigger or free-floated hand rail, maybe a 100% custom rifle? We can do it. We can also remodel your existing rifle!